Do you have a great business idea and unsure where to begin? We have compiled experts in all the relevant fields, which will get you started in your business venture. I am truly ‘Honoured and Privileged’ to be selected as an Ambassador for the ACCC – Australian Croatian Chamber Commerce and to help raise awareness of all proud Australians with Croatian heritage to help and promote a level of excellence in our business community throughout New South Wales and across Australia. As a leading Property Expert and Consumer Advocate in Sydney with over 30 years’ experience, I have worked closely with all nationalities, religions and backgrounds in our multicultural society in Australia that we are blessed to live in. Following in the Legacy and footsteps in the business community set down by my late father, Vice Klaric who was the President of Croatia Sydney Football Club in the 1970’s and a valued ‘Life and Foundation Member’ of the Croatian Club Sydney. Property has and will always remain the highest priority for security, investment and financial independence for all Australian/Croatian people, and I strongly believe that the ‘level of excellence’ in all personal and business activities set down by our Croatian forefathers has been a ‘legacy and benchmark’ that will remain for many years to come in all future generations. I hope to continue that legacy as an Ambassador for the Australian Croatian Chamber of Commerce NSW and the wider business community. One of Australia’s most famous football players, Mark played for Aston Villa, Manchester United and Chelsea. In 1999, he won a Premier League title with Manchester United, one of only two Australians to do so. Having played the world game at the highest level, “Bozza” is respected for his knowledgeable, no-nonsense opinion by both his peers and fans - never holding back with any of his well-considered views. 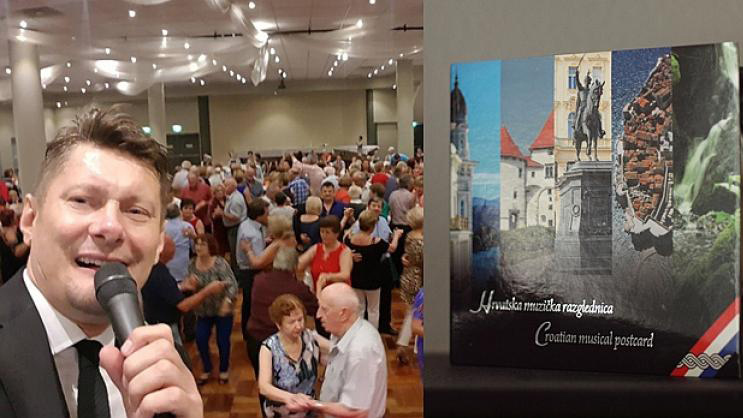 Mark is very proud of his Croatian heritage and the biggest supporter of Australian Croatian Chamber of Commerce New South Wales from the very beginning as he believes it represents a brand new chapter and the missing link of Croatian community in Australia. Croatian Born, Sydney Based artist Charles Billich is one of the most prominent living Australian painters. In a career spanning over fifty years, he has exhibited at some of the world’s best venues and has been an honoured guest and resident artist on many occasions. From the Vatican Museum to the White House, the Olympic Museum in Lausanne to His Majesty King George V Tupou Palace in Tonga, the Red Cross Museum in Geneva to numerous university, government, corporate and private collections, Charles Billich has an eclectic and ubiquitous following. An attempt to put this Croatian-Australian artist and draughtsman dedicated to excellence into historic and thematic perspective quickly shows him to be an innovator as well as a maverick, difficult to categorise yet accessible to all. Whatever the medium or the vision, Charles Billich creates works of distinction that are enjoyed around the world. "I manipulate reality. I turn it into some kind of symbolic analysis which works on several levels of meaning. There is a touch of irony in what I paint as there is in all contemporary surreal art, my lingua franca for articulating the vast gamma of emotions and impulses inherent to mystic creations" – Charles Billich. Podravka International is a foundation member of the ACCC. We are proud to support an organisation that represents mutual Australian and Croatian business prospective. I have found the ACCC to be a place where it allows you to meet like minded business people. Allowing you to establish wealth of contacts and building new friendships along the way. ACCC members are able to further their knowledge through seminars on a variety of business topics. It is an organisation that I found to be open in accepting all Australian businesses and not limiting itself to Croatian origin. However one of ACCC primary objectives is to link Croatian and Australian companies which we see as a benefit for our business. Crokon is a proud member of ACCC NSW as they give us a great chance for networking Australia wide with likeminded business people from the Croatian community as well as wider Australian community. Other than that, if you are interested in investment or doing any other type of business in Croatia, ACCC and Croatian Chamber of Economy as their supporting partner can open any door for you and give you much needed support and direction, which is really important for our clients. EverMore Partners has recently became a proud corporate partner of the Australian Croatian Chamber of Commerce (ACCC). We see this Chamber and its associated networks as the gateway to business with, and in, Croatia, as well as the wider European Union. As a corporate partner, we have had the fortunate opportunity to meet with overseas government officials, international blue-chip company directors, numerous professional practitioners, other business chamber board members, as well as a cross-section of local business people. Dealing with the ACCC has been on all levels extremely positive, most beneficial and thoroughly enjoyable. We would encourage every business person with any interest in Croatia, to get involved and become a member. Hope to see you at the next event! Uppermoda believe that there are still many opportunities economically between Australia & Croatia that have not yet been explored. The Australian Croatian Chamber of Commerce (ACCC) NSW is well positioned to deliver on these opportunities and help facilitate stronger trade between these two countries. That is why Uppermoda is a member and glad to work with the board and members of the ACCC. Letak pogledajte ovdje. Prezentaciju pogledajte ovdje.